ADESS is the chassis partner of the recently unveiled LMPH2G, for GreenGT. The car, presented by GreenGT and the ACO at the European Le Mans Series 4H of Spa-Francorchamps, ran demonstration laps and exhibited a refueling pit-stop, showcasing the car’s features. The LMPH2G has now become the center of the ACO’s Mission H24 campaign. Pininfarina recently presented its newest track car, the H2 Speed. This Hydrogen-powered track GT rockets from 0 to 100 km/h in 3.4 seconds and flies down the straights at +300km/h. With 653bhp powering the rear wheels and spaceship-like design by the famous Italian house, the H2 Speed is a highlight of alternative-energy technology. Continuing our previous work in this field, we designed the chassis for the H2 Speed. It features an ADESS LMP3 modified monocoque matched to the powertrain, designed by Green GT. The mechanical assemblies of the car, while based on our LMP3 as well, are dedicated and specific to the H2 Speed. We are proud to be a partner of GreenGT and Pininfarina in this project. Developing a car with such groundbreaking technology was a great challenge that involved our whole team. On Tuesday 6th March GreenGT and Pininfarina revealed the rolling chassis of the H2 Speed at the Geneva International Motor Show. ADESS, a partner in the project, supplied the carbon cell around which this electric-hydrogen fuel cell powered supercar is constructed. The H2 Speed concept presented two years ago by GreenGT has now become a reality that was revealed at the 2018 Geneva International Motor Show. The prototype electric-hydrogen fuel cell-powered supercar designed by Pininfarina was on display on the Italian company’s stand. It is the first of a series of 12 cars destined for private clients for track use. ADESS-03 chassis #008 was delivered at ANSA Motorsports (FL.) mid-October. The car check-down was done on the Palm Beach Raceway on Wednesday the 19th of October with Bruno Junqueira at the wheel. Students of Delft University of Technology in the Netherlands have presented the design of their new hydrogen fuel cell race car. It’s based on the ADESS-03 LMP3 chassis and will race against conventional fuel powered cars this summer. We are proud to be part of this promising project and wish them every success with their racer! The ADESS-03 LMP3 racecar of the Munich-based team from ADESS AG has completed its shakedown yesterday, Wednesday the 16th September at the Hockenheim Ring in Germany. Rainy weather and a wet track provided challenging conditions for a first run, performed by Chinese driver Zhi Cong Li, of the customer team AAI Motorsports. The Swiss TEAM ALL-SPORTS recently visited the Munich based manufacturer ADESS AG to view the development and production of the ADESS-03 LMP3 race car. TEAM ALL-SPORTS were extremely impressed with the companies´ professionalism, quality standards and assembly techniques and have subsequently awarded ADESS AG the contract to build an ADESS-03 LMP3 vehicle. G-PRIVATE RACING SERVICES, the German based racing team, are set to launch the brand-new ADESS-03 LMP3. The collaboration will see the first ADESS LMP3 team from Europe competing in various endurance series offered worldwide. The introduction of the ADESS-03 LMP car is an exciting step forward for Helmut Gay and his motorsport team, G-PRIVATE RACING SERVICES. To date they have been very successful competing with their GT cars in various European sprint and endurance series (ADAC GT masters, Sportscar Challenge, 24h Nürburgring, VdeV, Italy Endurance, FIA Middle-East). Promotion of young talents is an essential part of ADESS` company policy. We have spotted great potential in the young students of TUfast racing team e.V., the Formula Student team of Munich´s Technical University (TUM). With support in form of providing materials for the car and calculation time for CFD-studies on our cluster, we help TUfast to develop and improve the “nb014”. CEO Stéphane Chosse, with his many years of F1 experience, has been chosen to give his expert opinion on the new 2014 F1 cars. In the article on spox.com, which was published on Feb 04th, journalist Alexander Maack held an interview with the CEO of ADESS AG on the subject of the F1 engineers´ basic considerations in regard to the aerodynamic development of the new 2014 Formula 1 racecars. You can find the complete article here (in German). ADESS introduces its new LMP2 contender, the ADESS-02. The ADESS-02 is a true cost-capped race car developed according to the 2014 FIA LMP regulations, ready to compete in all endurance series. An intensive development program has been carried out by ADESS engineers and technicians and will ensure the competitiveness of the package. ADESS priority has been not only to maximise the car´s performance without compromising the drivability but also to provide its customers with an easy to service prototype. A specific engine has been chosen and the latest wind-tunnel results promise a very competitive package. Besides performance factors the car has been designed according to the highest safety standards and drivability criteria have been constantly taken into account throughout the complete development process. On March 29th, the new Lotus T128 LMP2 endurance car will be unveiled on the circuit Paul Ricard in Le Castellet. The car is the result of the cooperation between Lotus, Kodewa and Advanced Design and Engineering Systems Solutions AG (ADESS AG), which were entrusted with the development of the T128. "We are very proud to finally see the result of our development work on the track." Stéphane Chosse, founder and CEO of ADESS AG, says. 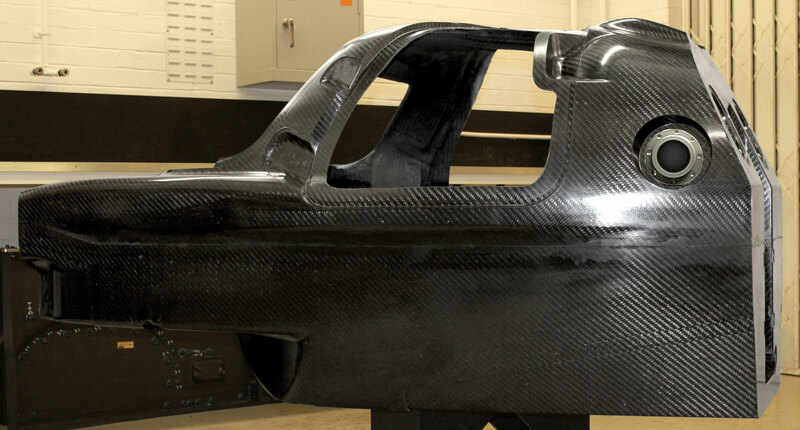 Lotus releases a first photo of the Lotus T128’s monocoque. 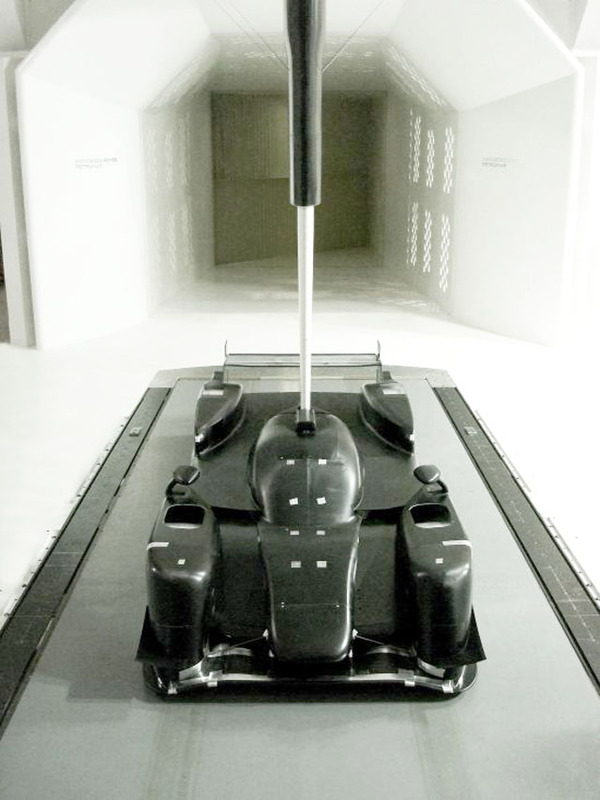 The driver cell of the T128 was developed in accordance with the 2014 LMP1 regulations. Improved safety, visibility and driver comfort have been paramount in the development of the chassis. The T128 provides a better view for the driver from inside the cockpit. An extensive mock-up program has been carried through in order to verify ergonomics and driver accessibility. ADESS is now entering t he final stage of the Lotus T128 Le Mans Prototype 2 project.